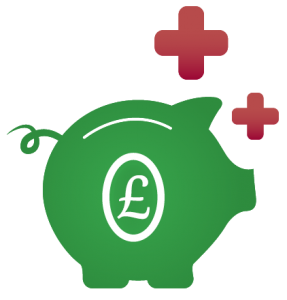 Do you need help with filing bankruptcy in England or Wales? We are the UK’s leading bankruptcy Company-since 2008 we have helped over a thousand clients to file for bankruptcy and clear their debts. Bankruptcy Assistance packages available! See our services page . We are fully approved and authorised by the Financial Conduct Authority to help people to file bankruptcy and clear their debts. Many people can find themselves caught in a never ending spiral of debt and bankruptcy can be a scary process to consider; especially if you have never been in this situation before. People will naturally avoid bankruptcy and try to maintain payments but if this is causing you to struggle then bankruptcy can be a good solution to give yourself a fresh start. Contact us by telephone, email or by using our short enquiry form on the right and we will contact you for a free, no-obligation discussion about your circumstances. We have experienced advisors that have been bankrupt themselves so we know exactly how you feel and how the bankruptcy process operates. Give yourself a fresh start-the bankruptcy is normally finished in 12 months and at this point you can start again and begin to rebuild your credit history and also your life in general. The pressure of dealing with debts can be very tough to deal with and can affect your family life and general wellbeing-take advice now and get on the road to recovery! 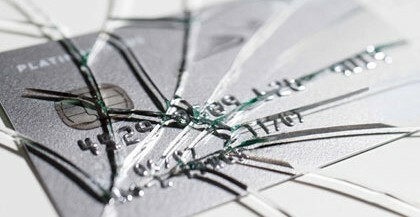 Are you in a situation where your debts have spiralled out of control? If so, Bankruptcy may be your best solution as this is the only option that clears your debts completely and allows you to restart your life again. Our company offers one of the most specialist services available to people considering bankruptcy. We are here to help you through the various stages of bankruptcy. However complex your situation is we can provide assistance. Welcome to Bankruptcy-Explained, a Bankruptcy service provider for clients living in England and Wales. Our specialist company supplies a complete and comprehensive service to help you through your Bankruptcy-no matter how complex your circumstances are. If you have property, assets, sole or joint debts, employed or self-employed we are able to help you deal with your situation. We offer an individual and confidential service explaining all of the facts that you need to know when declaring yourself bankrupt. We will help you every step of the way and our services can include preparing your bankruptcy application, help with the bankruptcy adjudicator, your creditors and debt collectors, your property and also support you throughout your period of bankruptcy if this is required. Your bankruptcy will normally last the standard duration of 12 months. In 2004 the laws were changed regarding bankruptcy, reducing the term to 12 months where previously the minimum term was 3 years. There is now no early discharge from bankruptcy. Previously it was possible to be discharged after 6-9 months but this process has now been stopped. For this reason the better your bankruptcy has been prepared the smoother the whole process is-it pays to take professional advice and makes the whole process much easier to deal with. Complete our advice form on the right and one of our experienced advisors will call you to discuss your circumstances. Alternatively call us for free advice. There is no obligation to use our services but we will advise you if bankruptcy the best option in your situation. Can I have a bank account while I am bankrupt? You can have a bank account while you are bankrupt and this is something we will make sure of. This is an essential facility that everyone is entitled to and it is a common misconception that you cannot hold a bank account while bankrupt. You can also hold a pre-paid MasterCard (APS CashPlus)while you are bankrupt. This is a very useful card to have as it does not allow you to go into debt but gives you the facility of a MasterCard to use for various reasons such as online purchases, car hire, shopping and holidays. Contact us for more advice on this particular subject. Will I lose my property and car if I go bankrupt? Another misconception is that you will lose your property and car. In situations where you have a property you must get specialist advice. In many cases you can retain your property and your car-it is all dependent on value and equity. In many cases the Official Receiver will allow the person that has been declared bankrupt to keep or re-purchase their asset. We have dealt with many bankruptcies where people have remained in their property. You may have to pay an amount to the Official Receiver to remain in your house, flat or bungalow but this payment will release any interest that the Official Receiver has in your property. Alternatively it may be better to hand your property back as part of the bankruptcy. When property is involved it is essential to take professional advice – contact us now to discuss your situation.